Blizzard CEO and Cofounder Mike Morhaime, Overwatch League Commissioner Nate Nanzer, and Esports Director of Operations Kim Phan discuss the company’s innovation in esports over two decades, from the original StarCraft all the way through the launch of the Overwatch League in January. 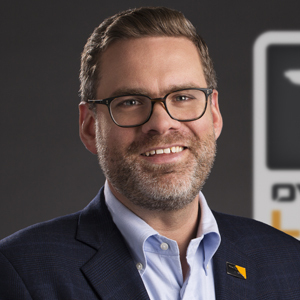 Serving as the commissioner of the Overwatch League, Nate Nanzer leads the cross-discipline esports effort for the team-based shooter. Nate began developing plans for an Overwatch esports program in his spare time while working in Blizzard’s marketing department, and has now turned that passion into a full-time role. He oversees the strategy, development, and execution of Overwatch esports for all levels of play, and is responsible for everything from partnerships to competition rules. Nate joined Blizzard Entertainment’s marketing team in 2014, where he worked on research and player insights. Prior to this, he served as a consultant working with some of the biggest publishers and console-makers in the game industry. Traditional sports like golf, soccer, and basketball continue to vie for Nate’s attention as a spectator, even as he pursues his goal of becoming one of the top Roadhog players in North America.